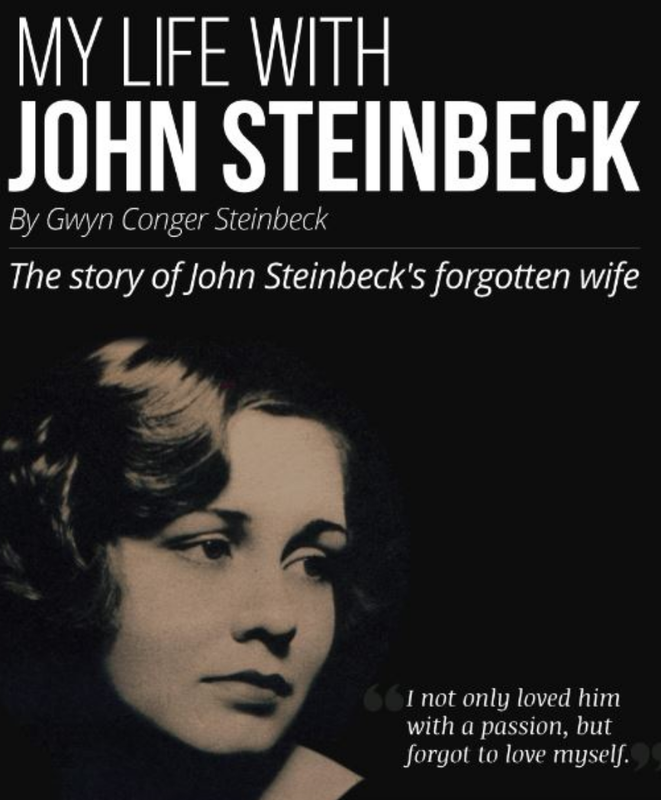 Short version: Steinbeck was not a walk in the park to live with, and any acrimony in this book is more than balanced by his immortalizing Gwen, to whom he was married from 1943-48 after they lived together for about 4 years, as the sociopathic, murdering, purely evil Kathy of East of Eden. Jay Parini, in his preface to My Life with John Steinbeck, says that Gwen must have been challenging to live with, too. Lawson, Bruce. 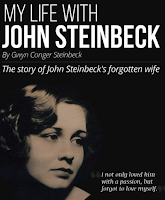 My Life With John Steinbeck: The Story of John Steinbeck's Forgotten Wife (Kindle Locations 163-169). Lawson Publishing. Kindle Edition. 1. "Nest" is what they all called Steinbeck's writing room. 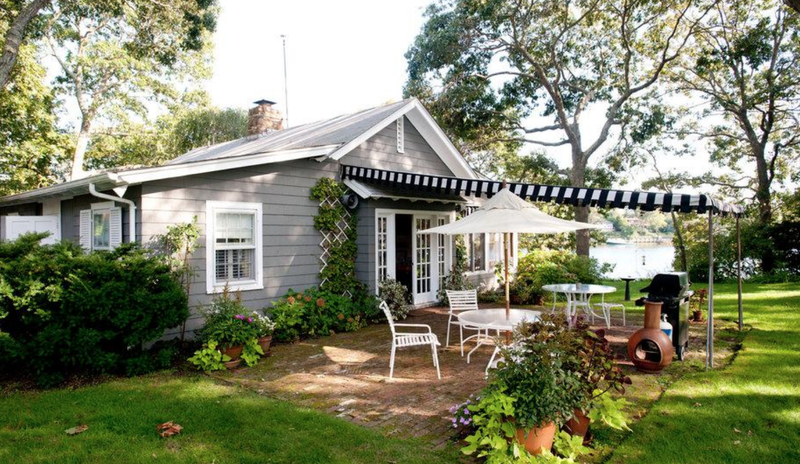 This was before the last phase of his career when he had the octagonal writing cottage in Sag Harbor. That house, and the Steinbeck estate more generally, was the subject of a lawsuit that you can read about at the link, involving Steinbeck's two sons (by Gwen) and his third wife, Elaine. Like many writers' and artists' final (third, fourth, etc.) wives (Mary Hemingway, Carlotta Monterey, etc. ), Elaine seems to have had a great sense of his legacy and of protecting it in ways that to outsiders may seem ruthless. 3. Words per day: 2500 to 5,000. Are you envious yet? 4. After finishing a piece of writing, Steinbeck, always restless, would want to move to another place, another state, another country: "And always he sacrificed everything for his work. When he worked, he became a superhuman machine. When a book was complete, he sank into states of depression and turned to a new location for his life: a new city, a new town, new people, a trip to anywhere that took his fancy." 5. "John loved to keep his writings neat. Almost all of his works were in old folios or books, or on legal pads. Only late in his life did he resort to the typewriter." 6. As mentioned in the East of Eden notebook, he wrote letters to friends to warm up each morning. One night, after the divorce, he yelled at me, ‘It’s all your fault!’ John stood outside the house and had awoken me by throwing stones up at the window. It was about the time he wrote East of Eden. I shall never forget seeing John standing there, saying, ‘My editors say that I have to rework this whole book, and I have never rewritten anything in my life.’ He calmed down, and I invited him in. ‘What did you come to me for then?’ I was irritated. ‘It’s your fault!’ he snapped back. 8. Gwen was a singer and wrote songs as well. When she had recorded about 24 of them, Mark Hanna, a theatrical agent, was interested in publishing them, but Steinbeck told her there should only be one writer in the family, so, "[t]o keep peace in our family, I reluctantly gave up my efforts as a songwriter. Sometimes now I wish I had continued writing songs, but then I just had to stop." I hope there's more writing inspiration than the chronicle of a raging ego in this post, but even if there isn't, it's time for me to get back to work and try to emulate the level of concentration and productivity, though definitely not the behavior, that Steinbeck showed in his writing life. I don't think I could manage to feel inspired by such a jerk, though his writing habits certainly have much in common with those of other productive writers (and, for the record, I do think he was a great writer). But (from the review) sitting down with current wife and girlfriend and saying he'd be with whichever one needed and wanted him the most? I can't believe they didn't both walk out on that confab. Mejor sola que mal acompañada. Good luck with your writing and deadlines! Dame Eleanor, I can't believe they both didn't walk out, either. I'm trying to separate the writing methods from the man, but it's a little tough with this one.